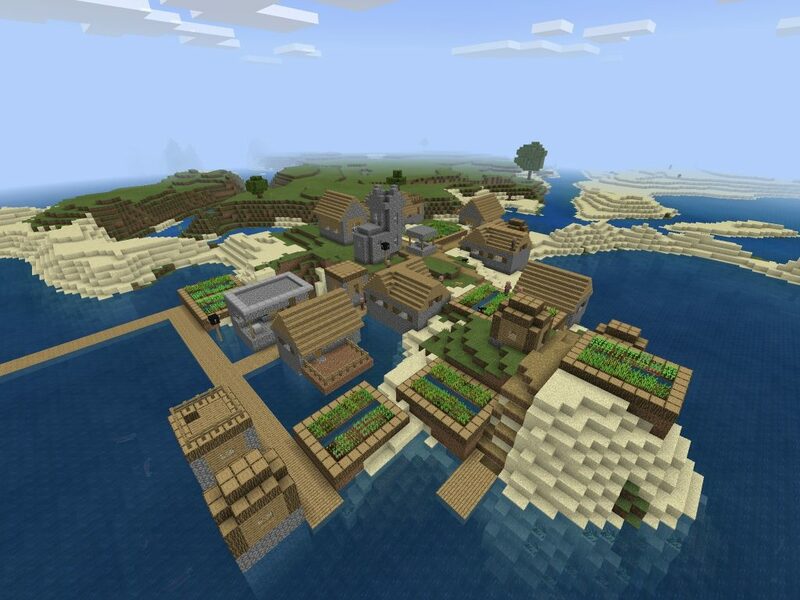 In this Bedrock Edition seed you spawn within the borders of a coastal fishing village. The village in this seed is partially on land, but more than half of it is over the water. 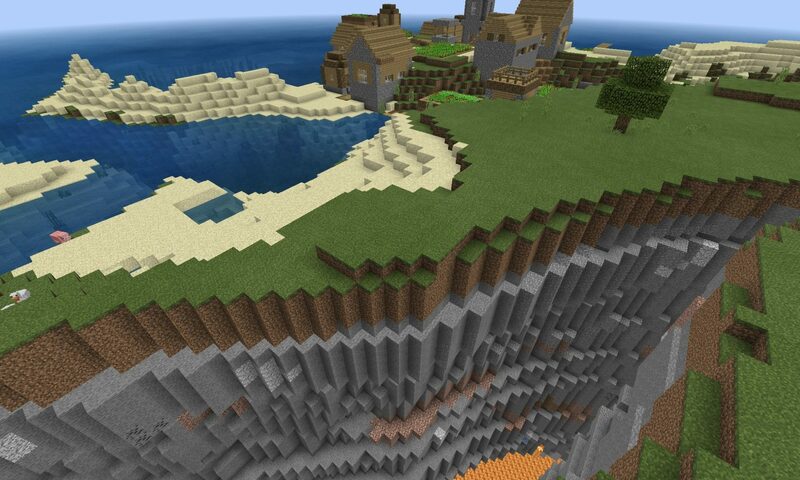 Beyond the village, the standout feature of this seed is the giant ravine beside the village. There’s both lava flows and waterfalls shooting out of ravine’s walls. The village does have a resident blacksmith NPC villager. 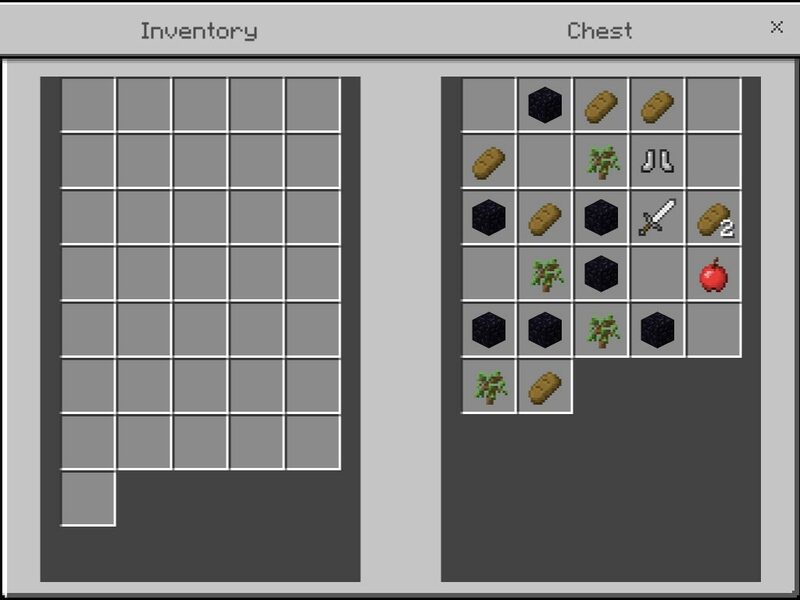 The blacksmith’s chest contains an iron sword and boots, 7 obsidian blocks and some random food items. Biomes in the immediate area include beach, desert, plains and ocean. 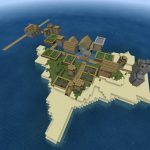 The blacksmith village in this Bedrock Edition Minecraft Seed. The loot in the blacksmith’s chest. Fun fact: there are also three zombies spawners down in the ravine, two of which are 3-5 blocks apart, making it a super good spot for a zombie/drowned farm.